There’s no getting around it – rotating machinery is dangerous. Use safety glasses and other PPE (personal protective equipment). Never wear dangling lanyards or necklaces, which can easily get caught in machinery. Make sure cables are equipped with the proper breakaways, in case a cable is dropped into a moving shaft. If you need to get a part number from a moving machine, or measure the speed of a rotating shaft, don’t use your tachometer. Touching a moving shaft is too risky. Instead, use an LED stroboscope to help read information from moving parts, or identify potential problems. 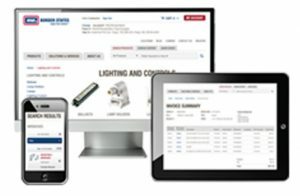 Wireless tools ensure cables don’t get in the way during test measurements. Smart tools are designed for maximum efficiency – they walk the user through a task quickly and easily, reducing time spent in dangerous areas. Look for early warning signs of potential failure. 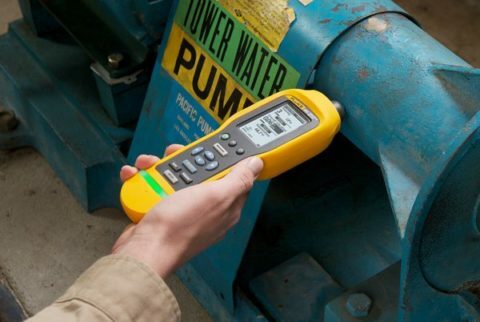 Be sure to add a Fluke vibration meter to operator inspection routes. It only takes 30 seconds to make sure machine conditions haven’t deteriorated. If you identify a severe change in machine fault, you’ll need to quickly determine whether the fault is moderate (machine has months remaining) or extreme (machine could fail at any time). A failed bearing could destroy a shaft or the entire machine, causing production to stop, dangerous materials to leak, or worst yet, human injury. 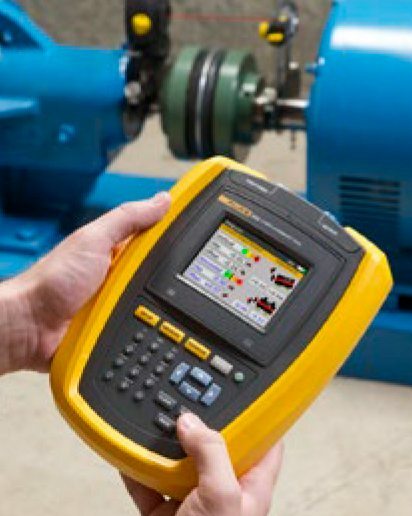 Facilities running large mechanical equipment often use Fluke vibration testers to diagnose mechanical fault.